Well known for its rapid growth and innovation, the technology world will continue to see great advancements in the field of Artificial Intelligence (AI). The current use of machine learning will be merged and then updated with the use of AI robots. To highlight the opportunity for improvement, to deliver ads in real-time, advertisers currently apply machine learning to aid in audience insights. Advertisers use audience insights to see if behavioral patterns can be isolated to create influential creative design. An improvement from machine learning, artificial intelligence will be able to sift through the data rich advertising environment to personalize ads down to the individual. Consequently, future applications of AI will have a great impact on consumers, but even more so on the ad-tech industry and market. We saw that investment in AI startups increased 300% between 2014 and 2015, and it’s reported that by 2020, 85% of customer interactions will be managed without a human. Leading businesses are already dedicating time and money into the advancement of AI. Apple, a global leader, is one of the many brands that started to use artificial intelligence on ad-tech devices. A go-to tool for consumers on Apple devices (iPhones, iPods, iPads) is Siri. Siri, Apple’s personal digital assistant, is a voice control that understands relationships and context. With artificial intelligence weaved into Siri, consumers can simply speak to Siri and check-off daily tasks, like making a dinner reservation. Apple chief executive, Tim Cook, addressed about the evolution of the smartphone and told the Washington Post: "AI will make this product even more essential to you. It will become even a better assistant, where you probably aren’t leaving home without it today – you’re really going to be connected to it in the future." 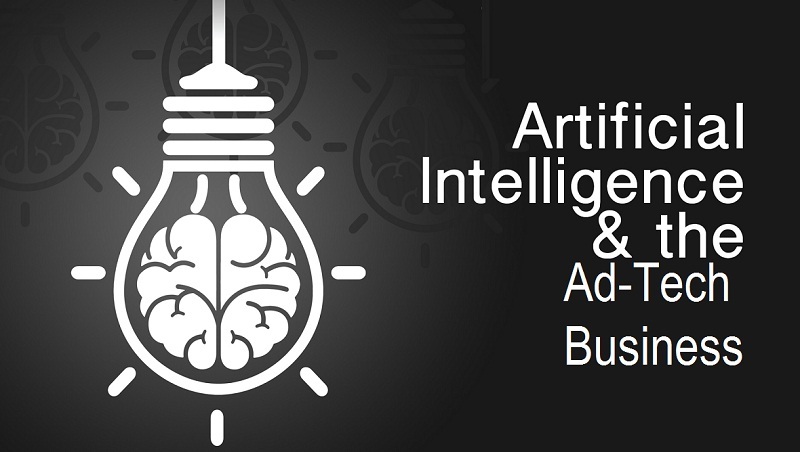 As artificial intelligence is being weaved into ad-tech devices for consumers, it will also prove to be a crucial tool for those in the advertising sector. With its advanced algorithms and detailed reporting, AI has the ability to recognize, learn and create. With the extensive amount of public information out there, Open Source INTelligence (OSINT) techniques and tools help leverage all information available through media. In turn, advertisers will be able to understand their consumers better and create more powerful customer segments, while also strengthening their advertising strategy. For example, artificial intelligence will significantly improve the amount of time and energy that goes into advertising campaigns. AI will help speed up campaign creation, give a more precise picture of campaign performance with viewability and interaction metrics, and even help understand how every following campaign should be presented. Moreover, AI will make personalization possible in the advertising world. Although ads are currently able to tell you the best winter destinations to travel to according to the winter season, AI can personalize advertisements down to the individual. It can highlight individual user data, such as gender, age and interests, and help advertisers ensure ads will reach and attract the right audience. In addition to transforming advertising through personalization, AI is even being developed to predict human behavior. This combination will be a major game changer in the advertising world. Though using your smart device to order take-out food has proven handy for consumers, the full capability of artificial intelligence has not yet been tapped into. With global digitization, artificial intelligence will transform and prove to be essential for the advertising world.